Get a free quote using the form below! Get your data recovered from a crashed or failed laptop, desktop, USB, RAID or external hard drive. We also recover thumb drives, sandisk cards, optical media, removable media and many other data storage devices and media. The most advanced data recovery services for Cincinnati businesses and individuals. Our certified engineers recover files from all hard drives, phones, flash media, RAID systems and camera cards. Whether your hard drive crashed, your RAID server is offline or experiencing multiple hard drive failure, in most cases we can recover your data… Advanced Data Recovery’s Cincinnati, OH data recovery services includes our affordable comprehensive recovery and exhaustive recovery for the most serious data loss situations. Cincinnati Data Recovery’s Exhaustive Data Recovery Service pricing is per drive: laptop, desktop, internal, external hard drives. This is invasive recovery performed in a clean room by highly trained and experienced hard drive engineers. Exhaustive recovery is for the most serious situations when internal parts replacement is required in order to gain access to your files and extract them from your hard drive. We will always notify you if your hard drive requires our Exhaustive recovery procedures before beginning work so you can choose whether to proceed or not. The typical time frame for recovering your data under our Exhaustive Data Recovery service is 7 to 9 business days (Standard Service). Your recovery may be faster or take longer depending on how severe the failure is and the capacity of your hard drive. Larger drives take longer to recover than smaller drives. Hard drives with complete head failure or stuck or frozen motors may also take longer because of the extent of damage to the platter surfaces where your data is recorded. If you need your data back faster you should choose our emergency data recovery service. 3TB or greater drives are custom quoted. Fees for Data Recovery RAID Hard Drives are on a case by case basis! Every situation is different. Advanced Data Recovery’s Comprehensive Data Recovery Service pricing is per drive: laptop, desktop, internal, external AND RAID hard drives of any size. Same Day File Recovery for up to 50% of data storage devices utilizing our online data recovery service option. Fill out the form below to get a custom service quote! We care about our clients and believe in treating you fair. Just because your data is valuable and you are experiencing an unexpected and stressful situation doesn’t mean you should pay a high price to get it back. We have found that by treating customers fairly they recommend us to their friends and associates. Because of our experience we know the percentage of drives that require various procedures so our prices are based on that. Data Recovery Cincinnati has been helping individuals and companies since 1997. Our experience has helped thousands of customers retrieve data once thought lost. From recovering important financial data to family photos, Data Recovery Cincinnati has been there for our clients. Our experience ensures that the most exhaustive measures are taken to retrieve the data that is the most important to you. We understand how important your lost data is and take our job seriously. If your business needs local Raid Recovery services in Cincinnati, we should be your first choice. 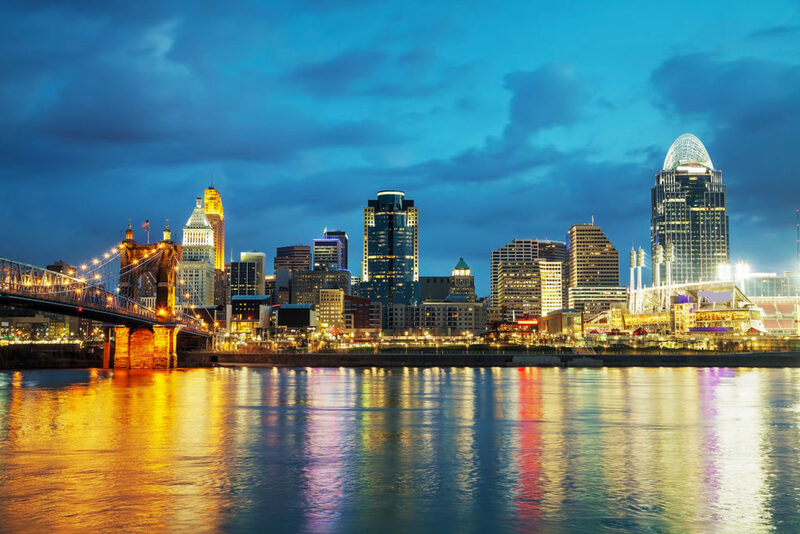 We have been helping local companies in Cincinnati recover after a losing access to your vital data. With raid recovery specialists in Cincinnati, we can provide same day services with local pick up at our Cincinnati location. Call us today or fill out the quote request form at the top of this page!